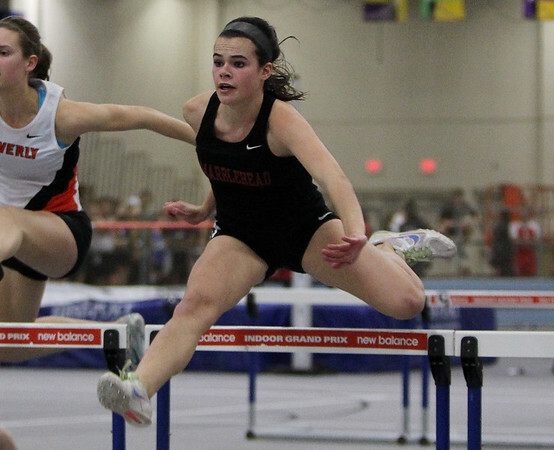 Marblehead senior Carlyn McGrath clears the last hurdle and sprints to the finish line to capture first place for the Magicians in the 55m hurdles during the NEC Conference Meet at the Reggie Lewis Center in Roxbury on Friday afternoon. DAVID LE/Staff photo. 1/30/15.